At the present time, business owners and managers need services that can take some unwanted burdens off their shoulders. Virtual assistants, with the variety of services they offer are a great match for various business requirements, which can be administrative, web related and others, including internet marketing, copy writing, etc. A virtual assistant or a VA can be a great asset for your business if used properly. A VA has complete command over all the aspects of a particular aspect, and thus can assist you by delivering the allotted work on time with the assurance of quality and efficiency in every work. It is very easy to find a VA for your business, but it would be great to know what kind of VA your business requires and what tasks would you be expecting your VA to accomplish. If you have the answers for these questions, then give us a call, drop us an email, however at EVS you have the option to talk with our VA before you hire them and we will help you through with defining the tasks, and will set you up with a qualified VA just for you. Finding a Virtual Assistant is as easy as 123; Call Us (1-888-471-5624) or Drop an Email or Chat With Us Now Tell Us Your Requirements We Will Offer You Best VA For Your Business in Your Budget Assign Task To Your VA Get Your All Work Done Smartly On Time. We have trained and experienced virtual assistants with advanced level of expertise in business chores, including calendar management, internet marketing, data entry & analytics, real estate and secretarial among others. Not limited to these but even flexible to work for all kinds of work that you might ask him/her to do. Our Virtual Assistants are highly qualified and energetic with result oriented approach to complete all the tasks on time. Address your queries and elegant solutions 24/7 on one-to-one basis with back up protocol in real time. 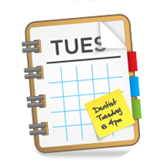 Calendar management for managing the day to day tasks to coordinate with schedule. 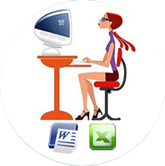 Hire virtual office assistant to manage your daily task. 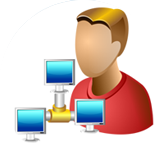 E-virtual Services for fast, economical and accurate data entry and processing. 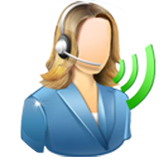 Our virtual assistant make your task easy and delivers top-notch services. Hire a virtual assistant to reduce the overburden of executive and clerical task. Have experience like never before. Are you not able to meet your requirment? E-virtual services is always there to help you, get answers of all your queries from a virtual assistant. Have cost efficient and effective administrative support from a virtual office assistant to have high quality services. We promise the lowest prices without any compromise in quality. The price we quote for our virtual assistant service is worth every cent, and even you will agree to this when you will give us an opportunity to serve you. 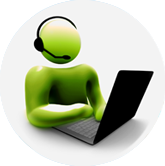 We have wide range of prices for virtual assistance. The Lowest price starts at $5.98/hr. To know more about our packages please fill the form. One of our business representatives will contact you within 24 hours for your requirement.